The Primus Band with Matte Black buckle and hardware. Cult of Mac Watch Store customers are likely aware of Strapa (fka Strapple) for its inclusion in our online shop. Our very own Lewis Wallace reviewed the brand’s Crocodilus band earlier this year. And, I took the Primus for a spin in August. 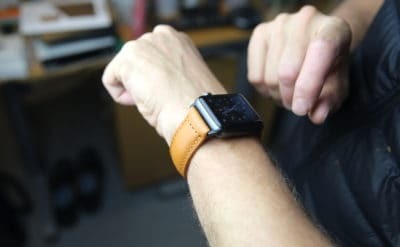 The brand-new Primus band for Apple Watch is no different in build-quality and attention to detail, yet boasts a bold, sienna-brown-colored leather. It really is a gorgeous band. Fine, linen stitching plays a big role in the quality and style of this band. 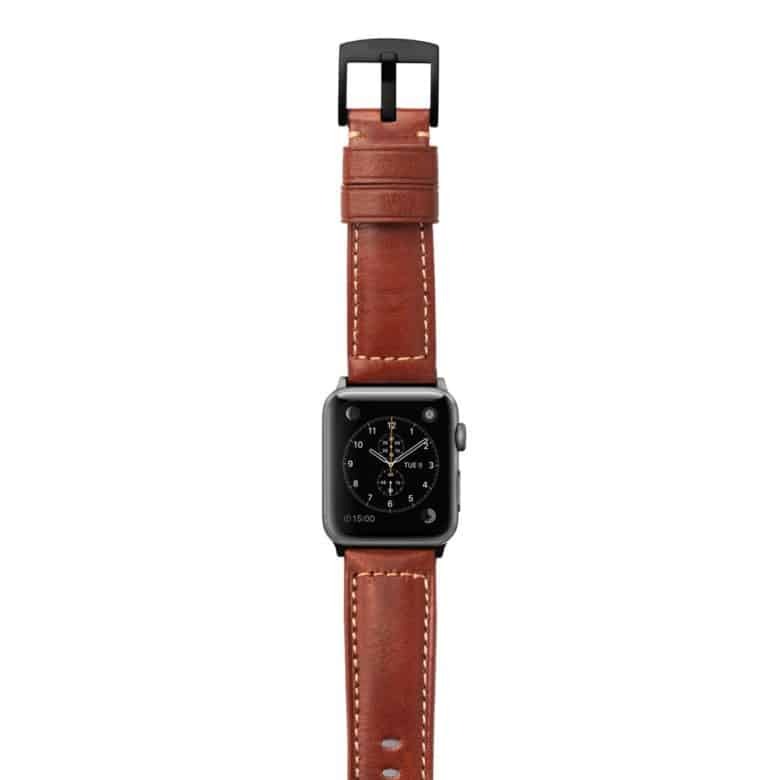 Each strap is lined by a smooth leather backing. The Strapa Ingenium Honey Apple Watch band as worn around the Cult of Mac offices. 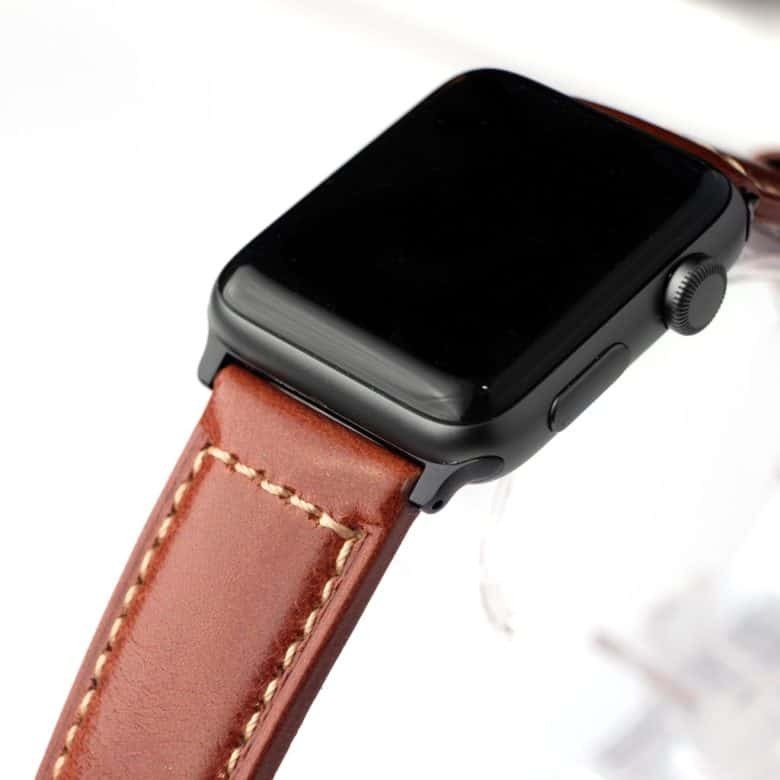 Very high-quality leather band with a beautiful sheen. 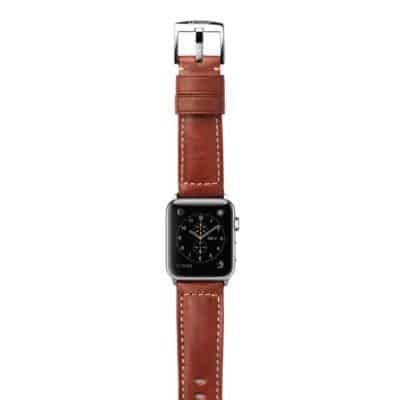 Apple became aware of the Netherlands-based company and reportedly really liked Strapple’s leather Apple Watch bands. Apple also recognized the obvious similarities in branding and asked the company to consider a name change. Strapple complied and, along with a new site and band launch, became Strapa. This newfound energy is evident in the leather color of the Primus band — a color I’d describe as a rich sienna brown. 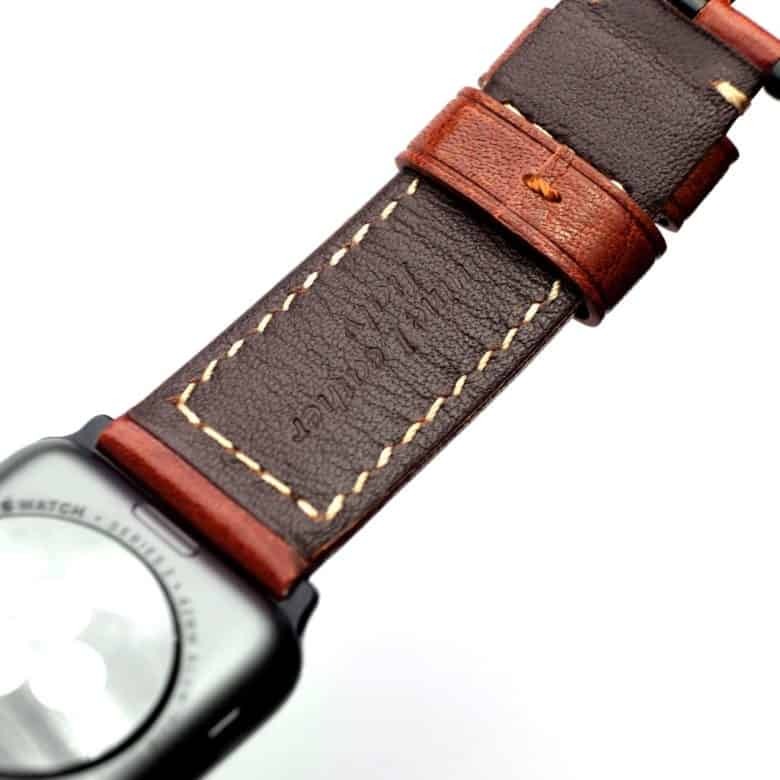 The Primus puts a twist on your average brown leather Apple Watch band. The rugged, Italian leather is then lined with a thinner leather backing, and stitched together with linen thread in homage to traditional artisanal saddlery and leather-working. The Primus Band with Polished Silver buckle and hardware. And, I love the sheen of this band. The tanning and polishing processes of the band’s leather imparts a subtle, glossy look and feel. The buckles are designed not to be sharp, so they’re not going to catch on anything or scratch the band when taken on and off. Choose from either silver or black hardware in polished or matte. The matte buckle was created for the regular aluminum Apple Watch; the polished finish is there to suit the stainless steel Apple Watch.